May, our favorite month of the year. April is doing the rain thing, and thank goodness because we need some May flowers! Besides our love of this seasons flowers, we also die for the color palettes we see surfacing. Choosing and committing to a color palette, is not easy. You want to make sure it is cohesive to the entire day, that you use it enough, and that you do not over use it. 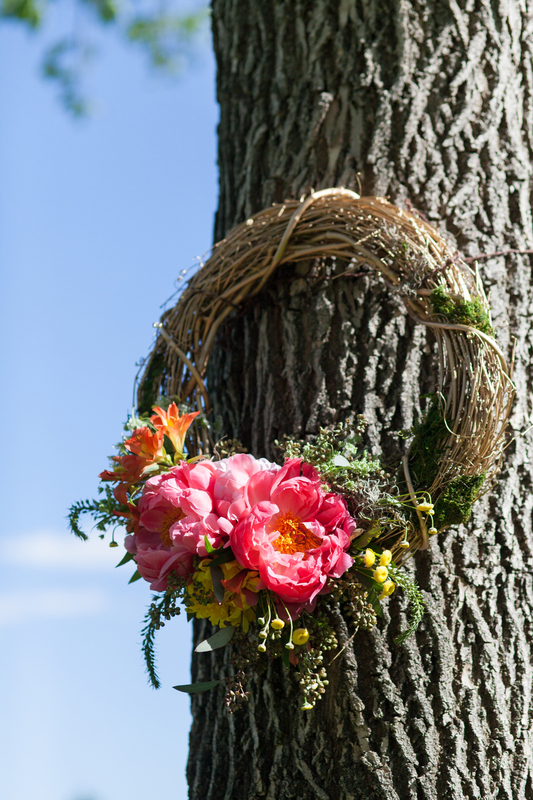 Flowers often play an important role in the big day--adding pops of color, textures and interesting designs to a more muted style, or toning down brighter details, and mellowing out and complimenting a more intricate day. Meet Jessica and Mark--sweet as can be. These two were such a delight to work with. A meeting with Bride and Mom, quickly became wine among friends! 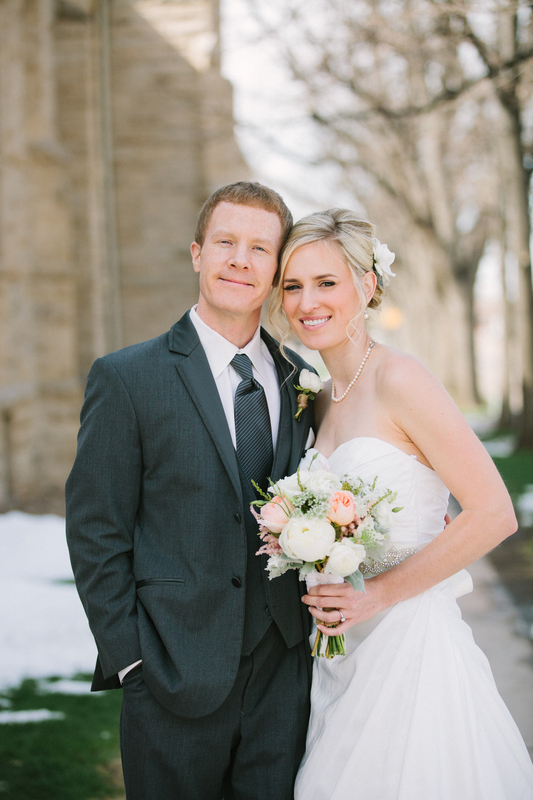 Jessica's early May wedding is a prime example of a perfect color palette. She made a bold choice to have Clover Green bridesmaid dresses--strapless knee-length and classy. In order to soften this look and complement her color choice, the flowers were soft, pale and feminine. Jessica's bouquet was filled with lush white Peonies, David Austin Garden Roses, white Lisianthus, Queen Anne's Lace, and touches of blush Astilbe. The bridesmaids' bouquets were consistent with the look of the bride-- soft and pale and a true match for the dress. Thanks to Sarah Joelle Photography for capturing it all!